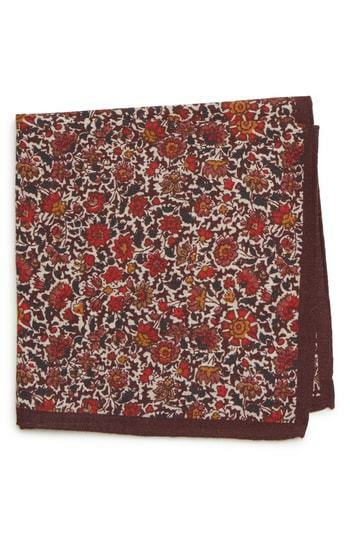 If you're all about relaxed dressing when it comes to fashion, you'll love this simple pairing of a brown herringbone wool blazer and a Bonobos floral wool pocket square. If you're all about relaxed dressing when it comes to fashion, you'll love this easy pairing of a plaid blazer and a Bonobos floral wool pocket square from Nordstrom. 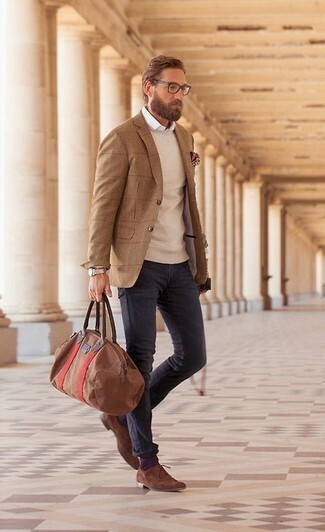 Wearing a pair of burgundy leather derby shoes is an easy way to add some flair to your ensemble. 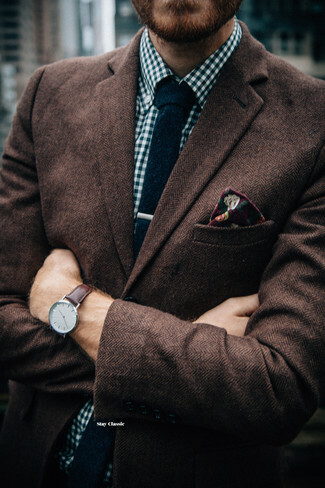 If you're a fan of comfort dressing when it comes to your personal style, you'll love this stylish pairing of a grey check blazer and a Bonobos floral wool pocket square. 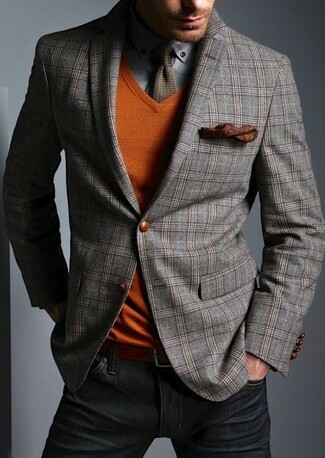 Wear a tan plaid blazer with a Bonobos floral wool pocket square from Nordstrom for a comfy-casual look. Dress up your getup with brown suede oxford shoes. 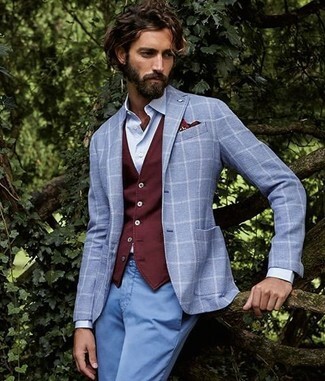 Choose a grey plaid wool blazer and a Bonobos floral wool pocket square to be both casual and knockout.